According to the National Highway Traffic Safety Administration, there were approximately 76,000 pedestrian injuries in 2012. However, the agency cautions that the true number of pedestrian injuries is probably far greater, because not every police department takes the time to report pedestrian accidents to state agencies. Of those injured, 4,743 died that year. Despite a variety of programs aimed at reducing the number of pedestrian accidents, the figure has only fallen by 3.2 percent in the past decade. If you are involved in a serious car accident in Miami, let us help you seek the compensation you need to pay for medical care and lost wages. Wolfson Law Firm, LLP has been providing excellent legal representation to the Miami community since 1963. You can count on us to fight to secure the maximum compensation possible in the courtroom and through negotiations with insurance companies. 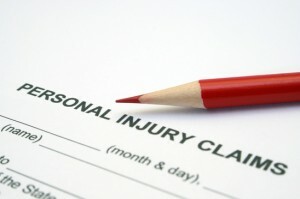 To arrange a free case evaluation with a personal-injury lawyer from our firm, please call us at 305-285-1115. Many pedestrians become the victims of poor road designs that make no allowance for public safety. In high-traffic areas, crosswalks alone may not be enough to protect pedestrians crossing busy intersections. Short pedestrian-signal breaks also put the public in danger of being caught in the middle of the street when traffic resumes. FIU Student Media recently proposed a pedestrian bridge for a busy intersection that has proven to be a dangerous area for students. Not all drivers who cause pedestrian accidents are reckless or impaired. Some are just careless and fail to check their mirrors or roll through stop signs. Lehigh Valley Live reports that a driver was backing out of a parking space when he struck a young girl. The driver’s behavior quickly turned from careless to negligent when he decided to speed away from the scene. Fortunately, a quick-thinking bystander wrote down the driver’s license-plate number, which helped police find him. The victim suffered injuries to her arm in the accident. KIRO TV reports that police are trying to determine whether or not a driver was over the legal limit when he ran over two pedestrians late at night. Authorities say Daniel Jordan Luckie Krogman was driving friends home after a party when the pedestrian accident occurred. One of the pedestrians died at the scene, and paramedics took the other to the hospital in critical condition. Officers say that Krogman smelled of alcohol and appeared confused. He admitted to police that he had had at least four drinks at the party, and investigators determined that he was speeding. If you’ve been injured by a careless or reckless driver in Miami, call us! At Wolfson Law Firm, LLP, we are committed to maximizing the amount of compensation that our clients receive. If you are ready to schedule a consultation with an experience personal-injury lawyer, please call 305-285-1115.